Our programs are made possible by the financial generosity of individuals, foundations, and corporations. Boston Landmarks Orchestra believes in breaking down barriers for all people. We are proud to be a Mass. Cultural Council UP Organization. The Boston Landmarks Orchestra is pleased to announce the return of its One City Choir this summer! The choir will perform Verdi’s Messa da Requiem on Wednesday, August 1 at 7:00 PM (rain date, Thursday, August 2) at the DCR’s Hatch Memorial Shell. All singers in the Boston area who have experience singing in choirs are invited to join the One City Choir. The One City Choir will again be joined by the Back Bay Chorale. Scott Allen Jarrett, music director of the Back Bay Chorale, will prepare the choir, and Christopher Wilkins will conduct the performance. Please note that the Verdi Requiem is approximately 90 minutes long. There will be a brief break at approximately the 60 minute mark, during which the choir will leave the stage. The choir will be divided into two sections, one group will be on stage behind the orchestra, and will not have chairs. The second group will be down in front of the stage, and a limited number of chairs will be set up nearby to allow singers to sit during the solo arias. Please indicate on your registration if you are unable to stand for the 60 minutes of the first part. Music may be accessed and downloaded via the following link: https://tinyurl.com/verdi2018. Printed copies will also be available at the first rehearsal. Mon., July 30 7:00-10:00 PM Rehearsal with Orchestra Boston Conservatory, 132 Ipswich St.
*You must be able to attend at least 3 of the 4 rehearsals between June 25 and July 26, and all of the rehearsals between July 29 and August 1 to participate. **UPDATE: As of May 22, registration is closed for Sopranos and Altos. Registration for Tenors and Basses will remain open until further notice. Sopranos and Altos will be placed on a waiting list. Please do not call our main office number. 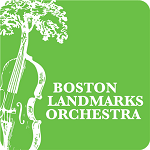 Copyright © 2019 Boston Landmarks Orchestra, Inc. All rights reserved.